With a little over three weeks until the 2010/2011 season kicks off for the Phoenix Suns, pre-season got underway last night in Sacramento. Though Phoenix fell 95-109 to the Kings, here’s hoping that a stop in Vancouver will turn things around and give the Suns the momentum they’re looking for to carry them into regular season play. I’ve been fortunate enough to have been offered the opportunity to join the Suns’ digital media team for the game tonight at Rogers Arena. I’ll be reporting from the sidelines, providing live Tweets and Twitpics throughout the game – and believe me, you don’t want to miss snapshots of Steve Nash’s pilates-like stretches by the bench! The game airs in Canada at 7:00 p.m. tonight on TSN. 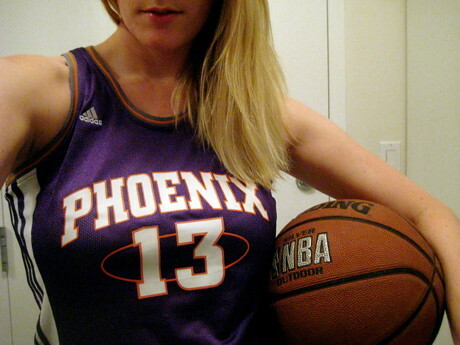 Be sure to follow both me and the official Phoenix Suns on Twitter for all the updates, action and information!